A deportation lawyer, Brian D. Lerner, explains how just being deportable in the U.S. does not mean you cannot win your case. First, the deportation attorney explains there are two forms of Cancellation of Removal. Of course, you must be in Removal Proceedings to apply for Cancellation of Removal and cannot apply outside of Removal Proceedings. Deportation Lawyers generally state that many times clients come into their offices claiming they have been here for over 10 years and they want the deportation attorney to get their Green Card for them. However, it is not that easy as most deportation lawyers will know. These people have the misunderstanding that they only need to be here 10 years and magically they will qualify for the Green Card. The deportation attorney also states that many times people who already have their Green Cards (or Lawful Permanent Residency), that they cannot be kicked out of the U.S. or deported. That is not further from the truth explains deportation lawyers. In fact there are multiple grounds of inadmissibility explains the deportation attorney . Brian D. Lerner, deportation lawyer further explains that by having the Green Card, you still fall under multiple provisions of the Immigration and Nationality act and you can absolutely be removed from the United States and deported with your status and Green Card taken away from you. Additionally, deportation attorneys gets many clients that say they committed a crime, but they served their time and therefore is it not double jeopardy and/or a violation of their constitutional rights to be put into deportation / removal proceedings for the same crime. Brian D. Lerner, deportation lawyer states unequivocally that it is not a violation of your due process rights and it is not double jeopardy to be deported or put into immigration court for that same crime. Deportation lawyers explains that it is the criminal law that controls when you get or do the crime. However, U.S. immigration law controls once you are released from prison or once you have plead and have the conviction explains deportation attorneys. Therefore, the deportation attorney explains that you might have had your Green Card for 10-15 years and have committed a crime which lands you in deportation proceedings. You can then be deported back to your country for that crime. Thus, the Law Offices of Brian D. Lerner, deportation attorney explains how it is possible to beat the deportation and keep your Green Card. There is what is known as Cancellation of Removal for Lawful Permanent Residents. If you have your Green Card and commit or have committed a crime, then you might fall under the provisions of Cancellation of Removal for Lawful Permanent Residents. What are the requirements inquires the deportation lawyer? The deportation attorney , Brian D. Lerner, explains that first you need to have the Green Card for about 7 years. Next, you must not have committed an aggravated felony and finally it is within the discretion of the Immigration Judge whether to grant or not grant this petition. The second issue is of notable concern. The deportation attorney explains that there are many types of crimes that fall under the ambit of being an aggravated felony. In fact, if you are about to plead guilty to a particular crime, you might very well want to visit a deportation attorney to get a criminal evaluation to work with the criminal attorney to plead to something that might minimize your immigration consequences and/or make it so you are not an aggravated felon. 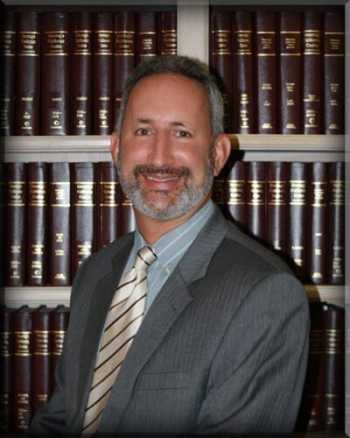 Brian D. Lerner, deportation attorney, will then argue how the crime is not an aggravated felony and then proceed to prepare what is necessary to represent you in your removal proceeding. Remember, this form of Cancellation of Removal is only for persons who have their Green Cards, not those here illegally. Thus, deportation lawyers explains that it is a matter of preparing a very detailed and generally large petition for Cancellation of Removal for Lawful Permanent Residents. This will include all kinds of hardship, equities, declarations, exhibits and other matters to show why the Immigration Judge should grant the Cancellation of Removal. The deportation attorney los Angeles explains how if the Cancellation of Removal for Lawful Permanent Residents is granted, then you will retain and keep your Green Card. It is basically like a get out of jail free card from the Monopoly game. Brian D. Lerner, deportation lawyer goes on to state that at the trial, he will call witnesses and sometimes get expert testimony on different areas of the case. Brian Lerner, deportation attorney will then also get a psychological hardship report for the different family members. Sometimes, deportation attorneys will get evidence to show rehabilitation, volunteer work, family ties and other equities so the Immigration will agree to give the person their Green Cards and to be able to stay in the United States. Thus, while people may think the moment they get into deportation proceedings is the end of the road, it is not. Deportation attorneys show how experience and putting together a good case can get somebody to stay in the U.S. even after being ordered removable, after committing a crime and after serving time. It is the view of Brian D. Lerner, deportation attorney, to vigorously represent his clients. He believes that the criminal client already served their time and understands that many people do ‘dumb’ things when they were young. Also, many people are in the wrong place at the wrong time and afraid to fight the legal system or simply don’t have the money to defend. Deportation lawyers makes clear that many clients have been in the U.S. for many years and have families and nothing back in their home countries. Brian D. Lerner, deportation lawyer, explains that it would tear the family apart, hurt the children, make a past mistake ruin the current life. Therefore, it is critical that you not give up. Fight your case and get a good deportation Attorney. (1) Where an alien has the right to a hearing before an Immigration Judge, a voluntary departure or return does not break the alien’s continuous physical presence for purposes of cancellation of removal under section 240A(b)(1)(A) of the Immigration and Nationality Act, 8 U.S.C. § 1229b(b)(1)(A) (2012), in the absence of evidence that he or she was informed of and waived the right to such a hearing. Matter of Avilez, 23 I&N Dec. 799 (BIA 2005), clarified. (2) Evidence that an alien who had the right to a hearing before an Immigration Judge was fingerprinted and/or photographed before being allowed to voluntarily depart is not enough, in itself, to demonstrate a waiver of the right to a hearing or to show a process of sufficient formality to break continuous physical presence. The Supreme Court reversed the Eighth Circuit, finding that INA §237(a)(2)(B)(i) triggers removal only when the government can prove a connection between an element of an immigrant’s drug conviction and a “controlled substance” as defined in 21 USC §802.